Nick Grimshaw attended the launch of the David Beckham for H&M Swimwear collection on 14 May 2014 at Shoreditch House in London. Nick Grimshaw wore a red jacket from Louis Vuitton Spring Summer 2014, over a white t-shirt, ripped denims and a pair of matching Nike Air Max sneakers. 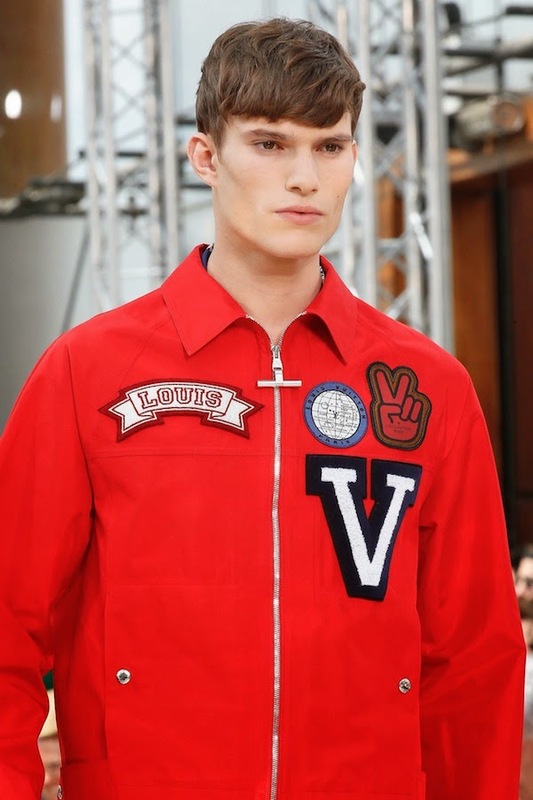 Love the Louis Vuitton jacket, which is one of my favourite pieces from the collection. The embroidered patches were somewhat bold and in your face, but I really do love it. Perhaps it is my love for typography, perhaps it was the beautiful horizontal bar on the zipper. Great choice on the Nike Air Max to continue on the sporty vibe. I love this look a lot.